Happy Thursday, my friends! 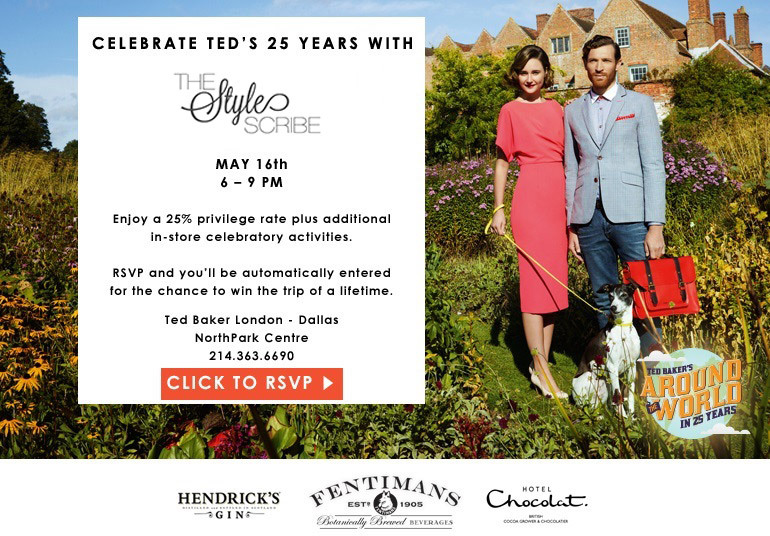 I’m thrilled to share that one week from today I’ll be hosting Ted Baker‘s 25th Anniversary event at their store in Northpark Center! Come by between 6-9pm on Thursday, May 16th to shop the entire Ted Baker collection with me! I guess I should also mention that the entire store will be 25% OFF during the in-store event only, so don’t miss out! You better believe I’ll be stocking up on all my summer favorites. CLICK HERE to RSVP and automatically be entered to win a trip of a lifetime (surprise!). Hope to see all my Dallas-area friends there! !